If you're worried about damage to carpets or hard surfaces during building works, Polybags' range of low tack adhesive protective films could be a solution. 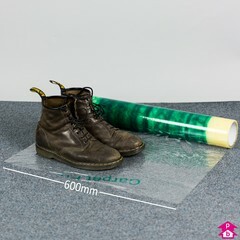 Manufactured from a durable waterproof polythene they are designed to protect surfaces without creating a trip hazard. 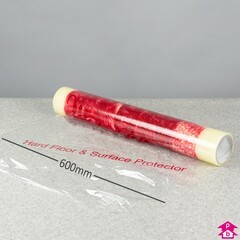 These heavy duty puncture-resistant protective films have been tried and tested for over 20 years and are colour-coded to ensure users apply the right film to the appropriate surface. The films provide a protective barrier against potential paint spills, dirty work boots, dust, grime and builders' mess, decorating, DIY jobs or even a party or event. Rolls are reverse-wound so no dispenser is required to apply the film and the low tack water-based adhesive allows you to stick and remove the film easily when it's no longer needed.